I am guessing that many of you have heard of the British brand Elemis. It is a brand that I have admired from a far because of the luxury price tag. Thanks to my Tesco vouchers I treated myself to Tranquil Touch Creamy Body Wash. Click here for more information on how I redeemed my Tesco Clubcard Vouchers to purchase this product. 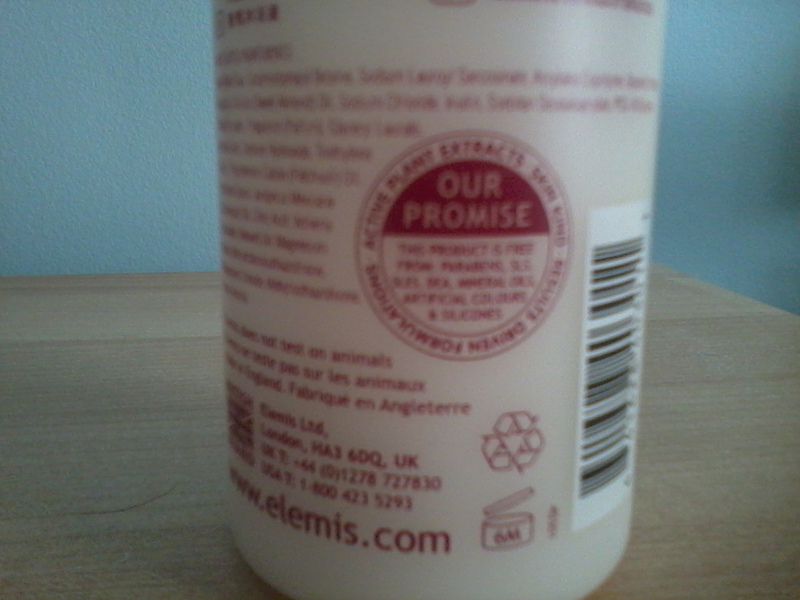 I was pleasantly surprised to discover that Elemis promise their products to be free from parabens, SLS, SLES, DEA, mineral oils, artificial colours, silicones and not tested on animals. I took a chance on the fragrance as I am someone who opts for fruity smells in the shower. This body wash has a heavy sensual scent due to the aromatic oils of Patchouli, Cedarwood and Vetivert. I am surprised how much I have grown to like it. The texture is thick and creamy. A small amount transforms into a lovely soft lather which is impressive and I did do a double take to check it was SLS free. I can tell that my skin is benefiting from the almond oil in this product because it feels soft and nourished after showering. Sadly, after using for a couple of weeks I noticed skin irritation on my chest and when I stopped using the body wash it disappeared. This is a common problem for me and often occurs when a product has a strong fragrance. It's too bad it irritated your skin! Great thorough reviews. I'm a new follower from the hop. I would love for you to check out my blog. http://kristy-s-place.blogspot.com/ May I also recommend Nature's Brilliance by Sue, she herself suffers from allergies and has researched and made her own soap, lotions and cosmetics. Great and affordable stuff. Blog hops are a great way to find new blogs to read. I only follow back if your blog is of interested to me & I hope you are following me because my blog interests you?